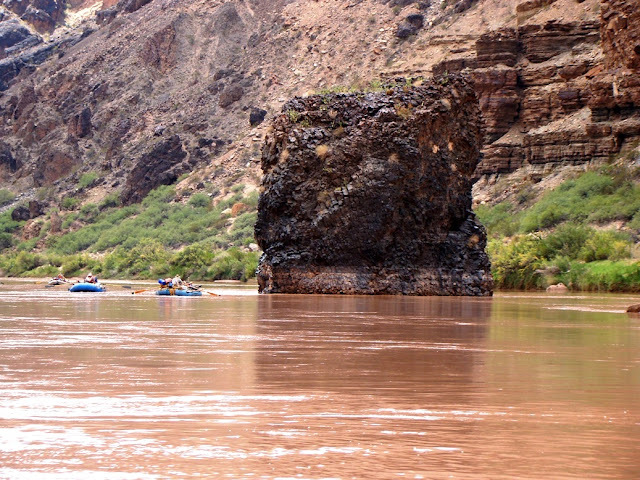 As many of you know, I recently ended a rafting trip down the Colorado River through the Grand Canyon. I just finished a blog series on the journey, and what I've done here is to list the posts in their original order, so that if you want to catch the whole story in one place, this is where you want to start! 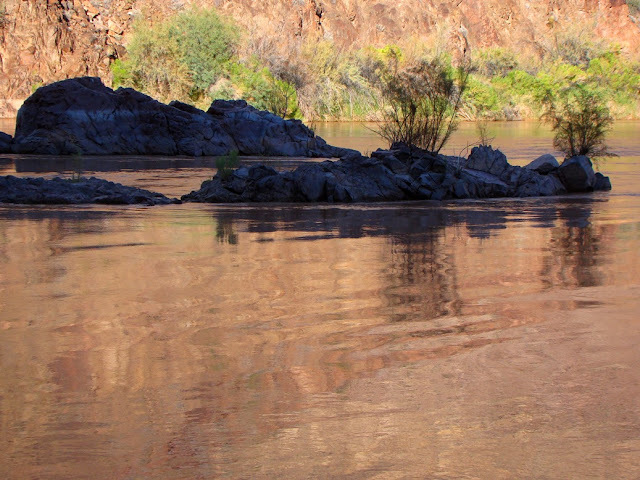 Rafting the Colorado River: This is the original post in the series, explaining how I got there, and what I was feeling about a journey that I waited forty years to complete. 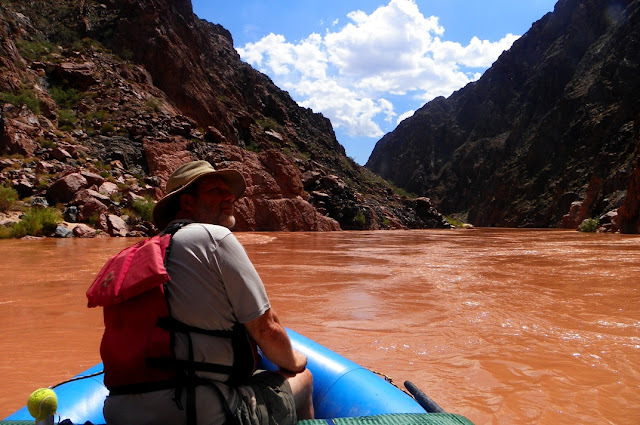 Everything you wanted to know about rafting on the Grand Canyon but were afraid to ask: A description of what's involved in a 16 day journey on a river with no stores, bathrooms or trashcans. Cloudburst (x2)! And Off We Go: Two intense thunderstorms give us a muddy sendoff down the river. Page and other towns got pounded that week by flooding. 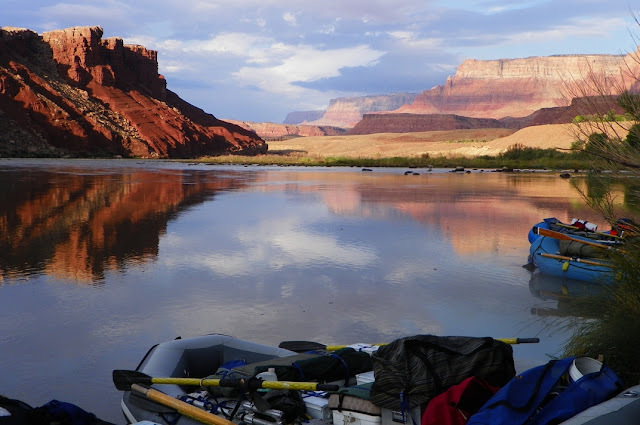 Passing through the Permian Period: Our first day on the river takes us through the upper layers of the Grand Canyon, the Permian-aged Kaibab, Toroweap, Coconino and Hermit formations. Whodunnit? 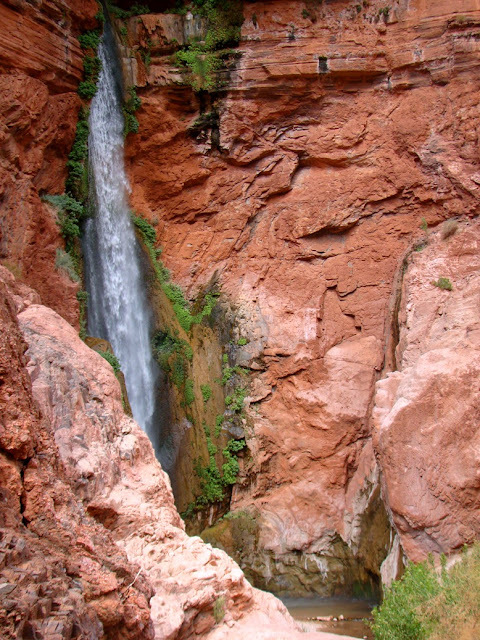 A Mountain Range Goes Missing: The Hermit Formation and Supai Group provide evidence of the existence of a long-eroded mountain in southwest Colorado. And I row a raft for the first time! Visions of Paradise and a Bug's Horror: We enter Marble Canyon, dominated by the beautiful cliffs and caverns of the Redwall Limestone. A beetle has a tough day. 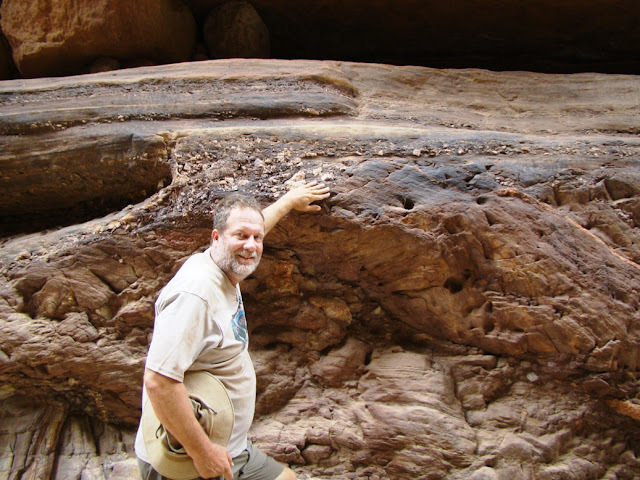 Looking for the Rivers within the Rivers of Marble Canyon: The Devonian Period is represented only by the Temple Butte Formation and the exposures are discontinuous because they were originally only the fill within eroded stream valleys. Plus a cool side trip to a small waterfall. We interrupt this scenery for a very recent flash flood and a biological disaster: The cloudbursts we experienced a few days earlier caused some flooding in the side canyons. And a look at the tamarisk tree, an invasive species. Catching an Iconic Scene in the Grand Canyon, and a Bi-Colored River: The small Ancestral Puebloan granaries above Nankoweap Canyon are one of the more famous sights on the river, but oh, what a climb! And floodwaters in the Little Colorado change the color of the main river. Living in a Thomas Moran Painting, and Through a Canyon Storm: A passing storm gives the canyon a dreamy impressionistic look. I get my favorite picture, and I don't get overly wet; there were too many gigantic boulders to cower under. 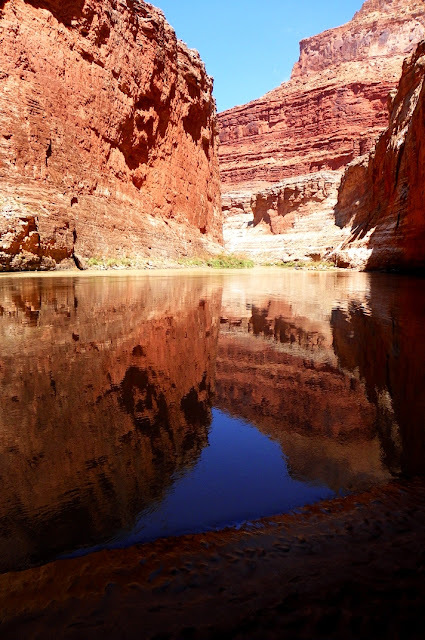 In the depths of the Grand Canyon there are three more Grand Canyons...Checking out the Supergroup: There is around 12,000 feet of ancient sediments and volcanic intrusions tucked in the deepest parts of the canyon, and they are only accessible by river or long hot hikes. We give them a look. Journeying to my Roots, and to the Roots of Mountains: We reach some of the monster rapids, including Hance. 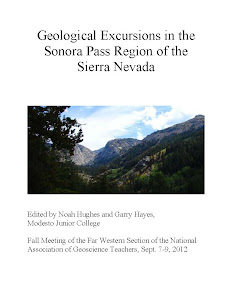 It was here in 1976 that I was becoming a geology major on my very first field studies class. Who is that gawky thin kid? Exploring the Heart of a Long-Gone Mountain Range (and words from home): In the bottom of the Grand Canyon there are the roots of a huge mountain range that formed before complex life even existed on our planet. And I hear words from home for the first time in week. 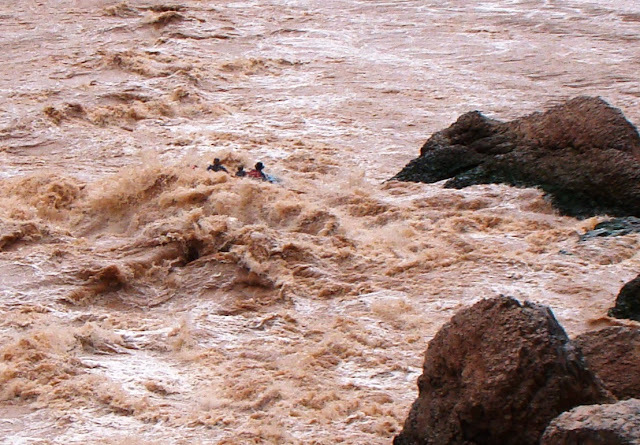 We Run the Big Rapids, Sometimes in Rafts: We run three of the biggest rapids on the Colorado River. I experience something I haven't felt in a long time: terror. We flipped on the biggest rapid and I took a long cold swim through the 10-foot waves and the Rock Garden. 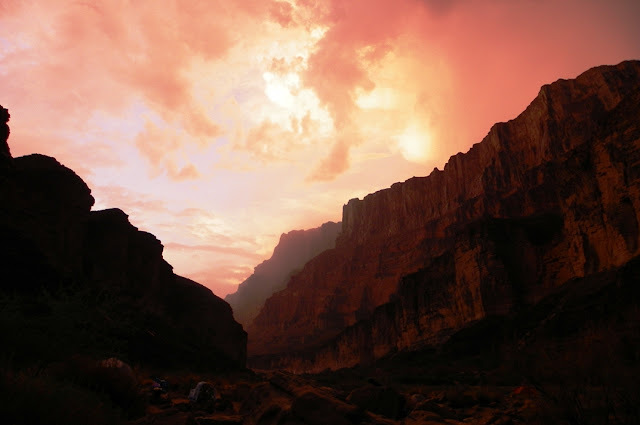 The Aftermath of Chaos...Finding Beauty in the Oldest Rocks of Grand Canyon: The Granite Gorge was a terror-filled place for John Wesley Powell and his men in 1869, but for me on a day after the rapids disaster it was a beautiful place. The Hidden Places and Putting a Hand Across 1.2 Billion Years: Every side canyon in the Grand Canyon holds a treasure. We visited two, the Elve's Chasm and Blacktail Canyon, and we laid our hands across 1.2 billion years at the Great Unconformity. We also met with a herd of bighorn sheep. Crossing the Great Unconformity Again...But Which One? There are really two major unconformities in the depths of the canyon (and more than a dozen more minor ones). We got a glimpse of the angular unconformity, and explored the billion year old sills, intrusions of basaltic rock that lined the canyon for a few miles. 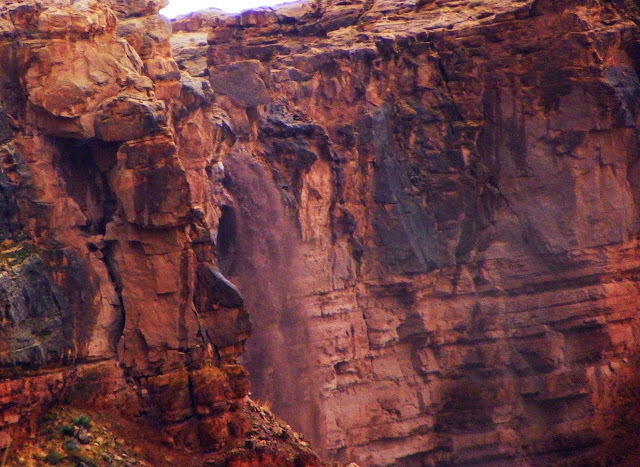 A Gigantic Failure Produces One of the Most Beautiful Sights in the Grand Canyon: Slope failure and landslides had as much to do with the formation of the Grand Canyon as the Colorado River. 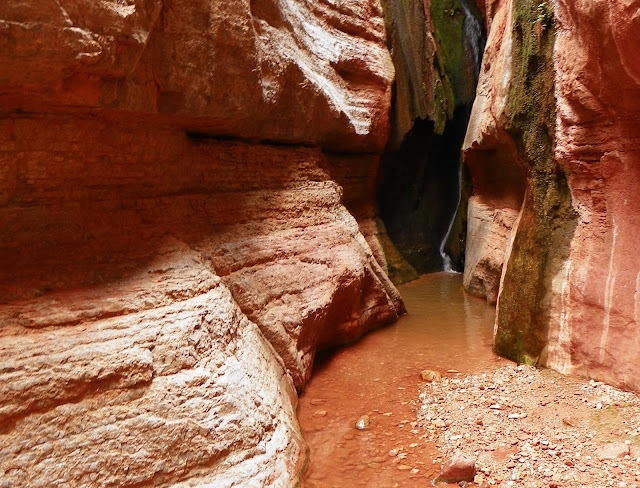 At Deer Creek, a landslide produced one of the most beautiful canyons and waterfalls in the entire canyon. Mad Cats and Amoebas? 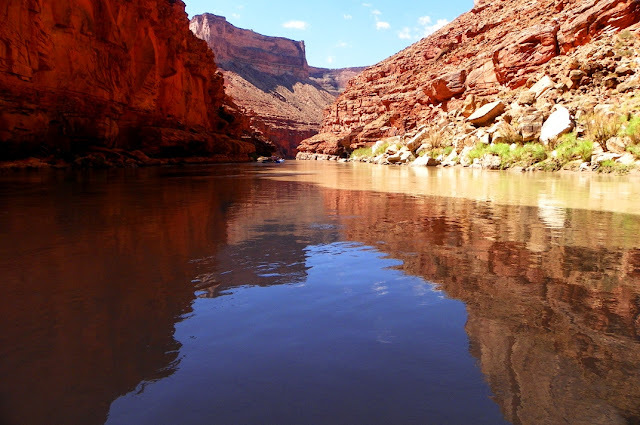 Trying to Keep Names Straight in the Grand Canyon: Not many people saw this post for some reason, but Matkatamiba Canyon is one of the prettier side canyons on the river, and one of the favorites of the veterans of previous river trips. 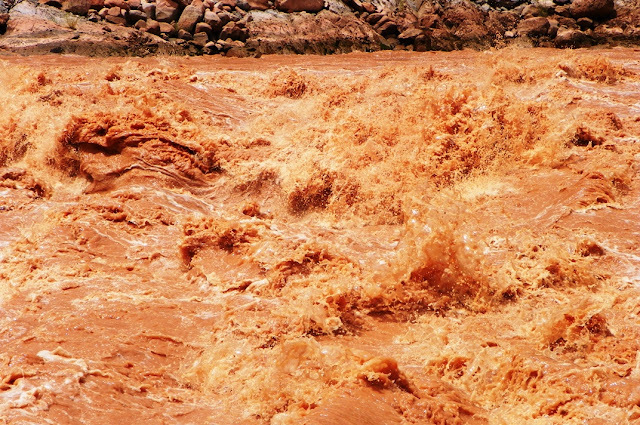 "Disaster" in National Canyon, and the Volcanoes of Grand Canyon: An unbelievable flood last year, and an unbelievable amount of basalt lava in Grand Canyon. And just like that we are facing Lava Falls, the single worst rapid on the river, in turbulence if not length. Zero Hour at Lava Falls: A story of courage, redemption and the triumph of the human spirit? No. I tried to ride Lava Falls in a raft, but had to swim instead. Involuntarily. See the video version! Vulcan the fire god says "You call that little piece of concrete a dam? : Lava dams in the Grand Canyon may have stood 2,000 feet high, and may have backed up dams for three hundred miles or more upstream. Heat...and All Things Beautiful: It was post-Lava Falls, and one of the hottest days we had on the river. And the beauty surrounded us, in the water, in the cliffs, and in the animals. The Last Day...An Elegy for a Journey, and for a River: I didn't want to leave. The last two miles on the river were the most precious of all, drifting slowly in the current. And then it was over. We derigged and made our ways to our homes, and the Colorado just rolled on. Thanks for another interesting and informative series of posts! While I wasn't fortunate enough to do a private trip I did take a commercial paddle trip in 2005 which was geared towards hikers. 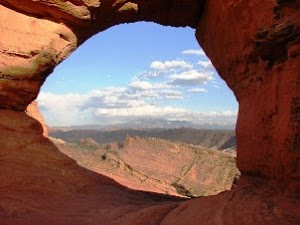 I was blown away and saw so much by hiking various side canyons. Our trip encountered a rock fall at Galloway Canyon which required helicopter evacuation of one person! Your blogs brought back fond memories and I hope to go down the unknown again. We saw helicopters from time to time that didn't look like tourist flights. I was so acutely aware of our isolation, and I am glad we didn't need help of that sort! Garry, thanks for this series of posts and for the "Time Beyond Imagining" posts. You have so profoundly changed the way I look at the world and any pile of rocks. I hope your students can soak up as much or more.